Devotion is in every detail. The harmonious juxtaposition of a two-tone wedding ring set constructs a narrative of paradise: lustrous platinum dedicates its character to the elegance and beauty in life, while the warmth of rose gold never forgets the romance and whims of love. 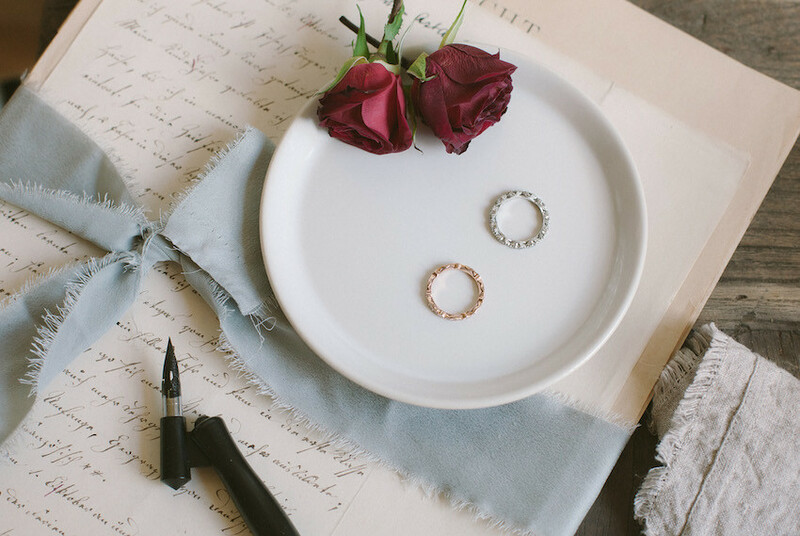 I sat down with Tacori to customize our dream wedding bands. After an effortless meeting or two, I made my commitment to a mixed metal stack of bands, each with their own unique design and personality. A blend of rose gold and platinum hailed to become an elegant visage that leaves ample room for versatility and elevated style. The classic geometry of the rose gold Sculpted Crescent band pays homage to the boldness of Art Deco and the romance of nostalgia with its simply stunning design. Yet, the modernity of the platinum Petite Crescent band brings forth brilliance and artistry in the choreography of diamonds that dance along the signature crescent setting. 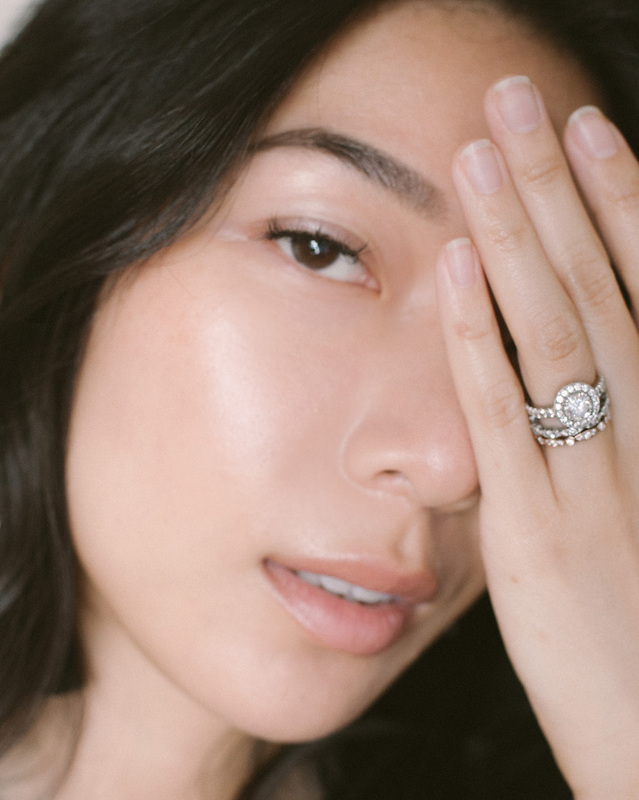 Paired with the timeless, halo engagement ring that Kyle designed himself, my wedding ring stack characterizes the singularity of our love and lives. 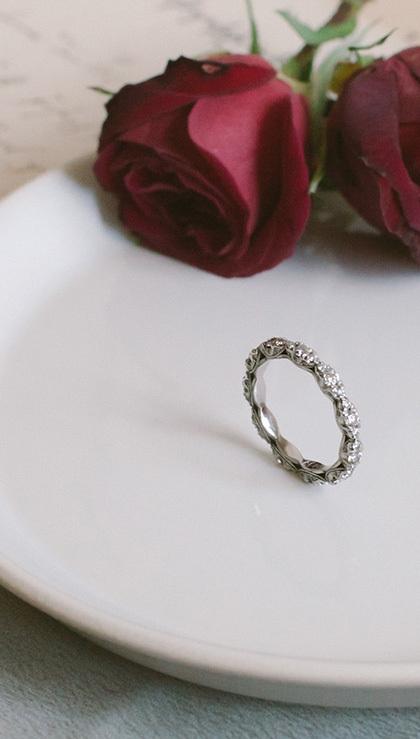 Kyle's wedding ring is a bold design that truly expends the craft of customization by Tacori. 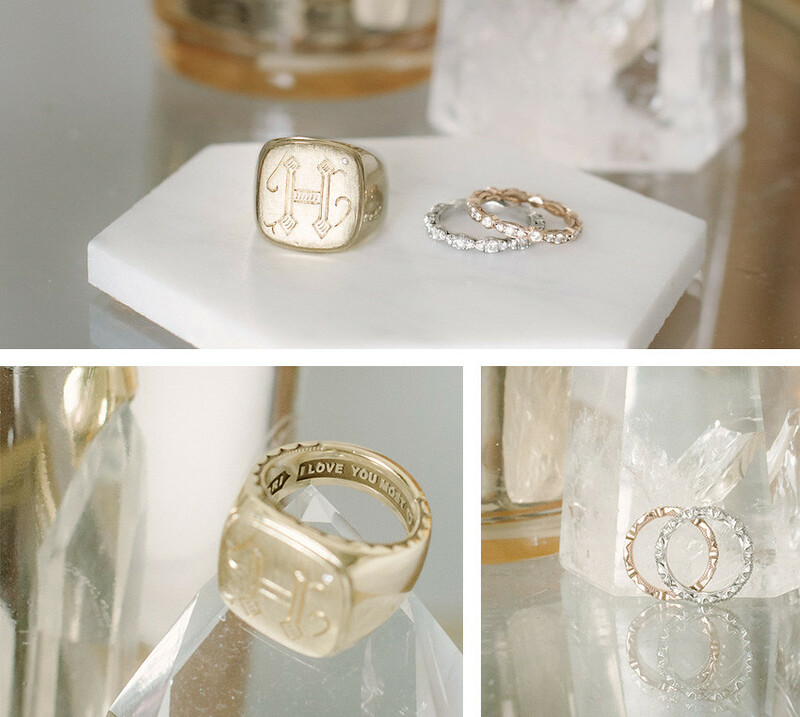 Inspired by the Legend collection, he created a unique Tacori ring that would become his very own signature: an opulent 'H' graces the polished face of the dense table knocker, wherefore a gentle rap against a table or door frame will capture anyone's attention. It's simplistic, elegant shape holds sturdy through the conduct of an adventurous husband undaunted by risks and defeat. 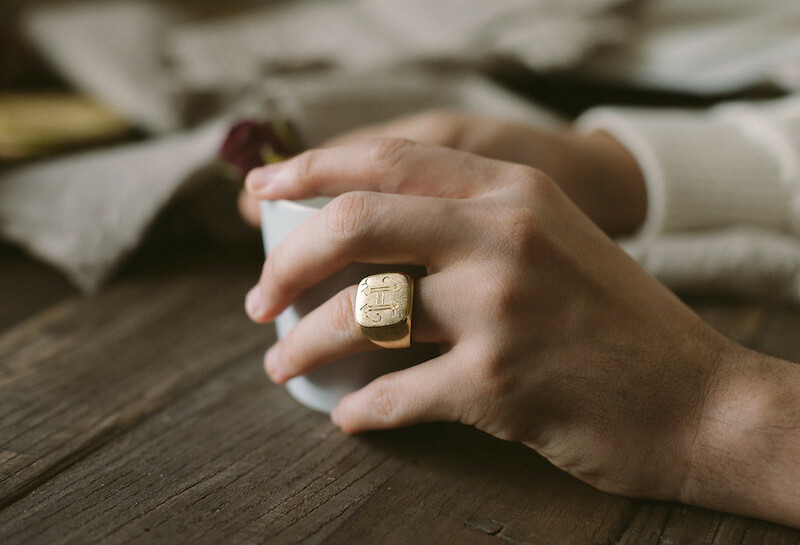 A generation later, the ring's timeless character will divulge its emergence as an heirloom of the Hjelmeseths. Distinctly us and decidedly unconventional, our wedding rings embody the spirit of our journey together. We can't be more honored to partner with our Tacori family in telling you our story. Diamond Wedding Rings so light and lovely. I loved the delicate bands.